Designed by architects Carl and Sara Rohl-Smith, this memorial to Sherman is a fourteen foot bronze equestrian statue on a granite pedestal mounted on a square platform. At the corners there are bronze soldiers representing four branches of the Army; infantry on the northwest, artillery on the northeast, cavalry on the southeast, and engineers on the southwest. Around the base of the monument is a band of mosaic six feet wide, inlaid with the names of all the battles in which Sherman took part. Near the top of the north face of the pedestal is a bronze tablet of Sherman's march through Georgia and two Sherman quotations. On the east side below the statue is a bronze grouping of three children and a woman representing Peace. Under this group is a bronze tablet showing "Sherman at Early Dawn at Missionary Ridge" and to the south of this tablet are bronze bas-reliefs of the heads of Generals A.J. Smith, and J.B. McPherson. The south side has a relief of a panoramic battle scene called "During Battle of Atlanta" with inscriptions above and below. On the west side of the pedestal is a bronze group representing War with a woman with bound hands standing on a dead soldier who clasps a rifle, two vultures prey on his body. Below this group is a bronze relief of "Soldiers at Rest" with bas-reliefs to the north of the heads of Major Generals John A. Logan and F.P. Blair and to the south of Brigadier Generals T.E. Ransom and G.M. Dodge. The statue is located at the site where victorious Union generals, had reviewed Union forces in 1865 at the close of the Civil War. The majority of the funding was provided by Congress but the Army of the Tennessee subscribed a small part of the total cost of $131,055. The statue was approved under an Act approved July 5, 1892. It was dedicated on October 15, 1903. Many of the sculpted parts of the memorial were completed by other persons due to the early death of Carl Rohl-Smith, sculptor. Lauritz Jessen (equestrian statue), Sigvald Asbjornsen (soldier statues), Mrs. Theodore A. Ruggles Kitson (eight low relief portrait medallions), and Stephen Sinding (War and Peace groups), all contributed to the whole group. 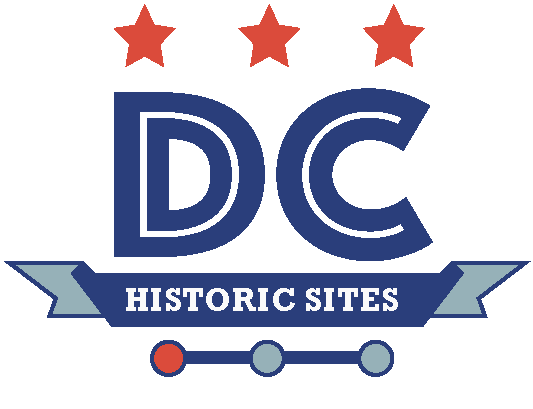 “General William Tecumseh Sherman Memorial,” DC Historic Sites, accessed April 24, 2019, https://historicsites.dcpreservation.org/items/show/554.